Delivered Cheyenne 3/4/43; Dow Fd 23/5/43; Assigned 545BS/384BG [JD-U] Grafton Underwood 29/5/43; Missing in Action Schweinfurt 17/8/43; enemy aircraft, crashed Weiler, Germany. Missing Air Crew Report 293. MARY KATHLEEN aka YANKEE POWERHOUSE II. 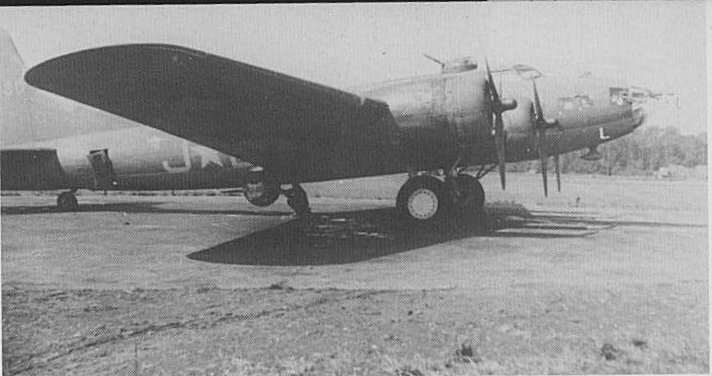 Actually S/Sgt Morris Hamilton Merrifield was the tail gunner (TG) on this aircraft when it was shot down 8/17/43. He is my late father and was interned for approximately 22 mos. as a POW in Stalag 17-B.